For drawing purposes, the ring structure of the glucose molecule is broken down into three simple steps as shown below. 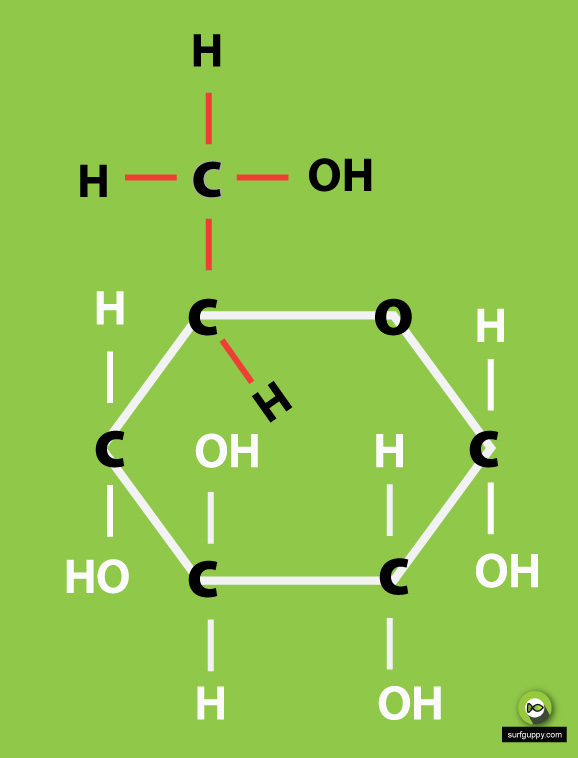 Each molecule of glucose sugar is only 1 unit consisting of 6 carbon atoms, 12 hydrogen atoms and 6 oxygen atoms in the form of a ring or a straight chain. When you’ve completed, just count up all the elements and make sure they have the right numbers. This is a good way for self checking. Do this once a day and you’ll probably remember it for the rest of your life!